Because he was amazing. End of story. With the recent anniversary of Hank Aaron’s milestone home run, a lot has been made about who the REAL home run king is. 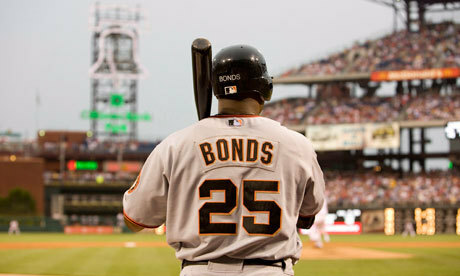 Obviously it’s Barry Bonds. However, not everyone agrees. I traveled to the Internet abyss in search of answers. These were my results. In case you haven’t heard, our friend Michael Clair over at oldtimefamilybaseball.com has been doing a remarkably cool event known as the Blogathon for Doctors Without Borders. He’s done this for a few years and it’s a fantastic idea that he has executed remarkably well this year especially. Jake and I were both fortunate enough to be asked to contribute to the guest post portion of the blogathon, and we were happy to oblige.